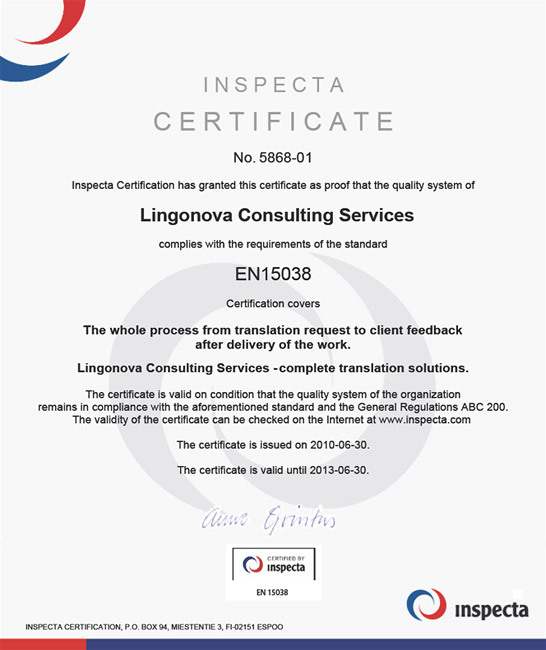 I am really happy with all the work that Lingonova has done for us. Irene is great to work with and we are very thankful with her. Our collaboration with Nancy is very satisfactory! 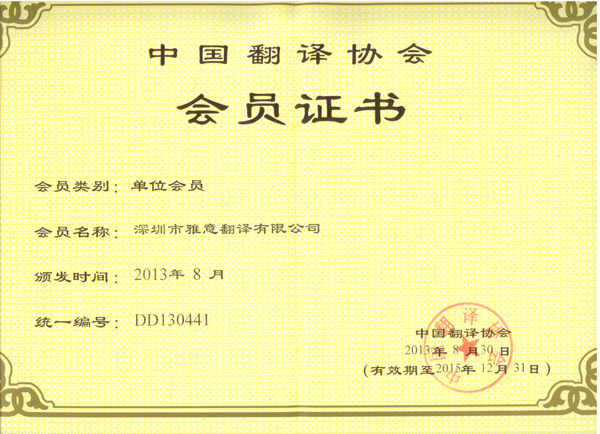 Sirona Dental Systems Foshan Co., Ltd. Always a pleasure to work with you, and very glad to have a provider I can count on to be professional and responsive. Thank you! 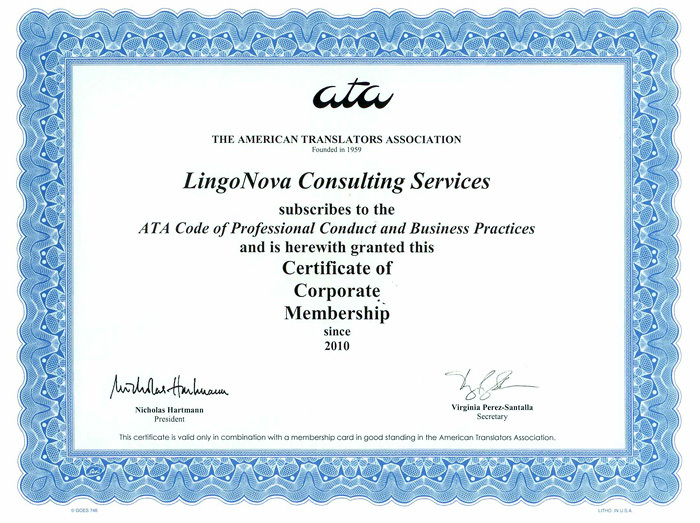 Translation quality is difficult for us to judge as we don't have any native Mandarin speakers working here but it must be good as we have had no complaints from our clients. Would recommend you to anyone, it is always a pleasure to work with Marc in particular. Even though we had cheaper offers from other companies I would prefer to work with you as you have proven to be very reliable. Thank you for your services! 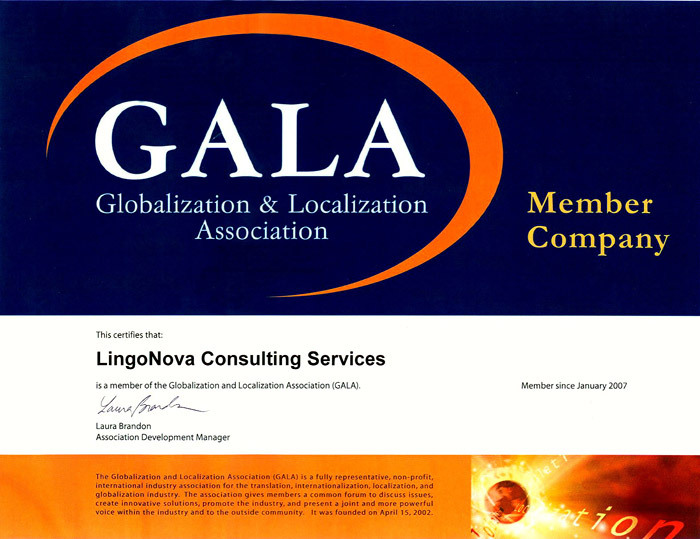 LingoNova is a great Chinese vendor and they are in top list. I like to work with Marc or Lisa. reactivity and skils !! We are more than satisfied with Nancy. She is flexible and manages even urgent projects always in time. We deal with Irene, who is prompt, efficient, courteous, creative and manages our business as excellently as we could hope for. We know we can rely on LingoNova! Sometimes we ask you to help with extra proofreading collaboration woth local client distributors (SC & TC) and you always cooperate fully, which is greatly appreciated by us and pour clients. Irene's reponse time and service are excellent! It was good to have SDL Trados 2011 available as we manage multilingual projects on SDL Trados. But im happy with the service. Highly professional team and at the same time imbued with a very human. Marc is one of our favorite partner and she is always very professional and friendly. Here in Gama! office we are all very happy with our relationship within Lingonova.